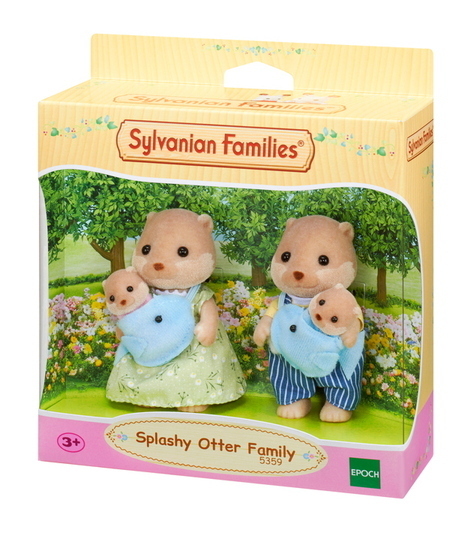 Splashy Otter Family includes four figures: Splashy Otter Father, Mother, and Cradled Babies. 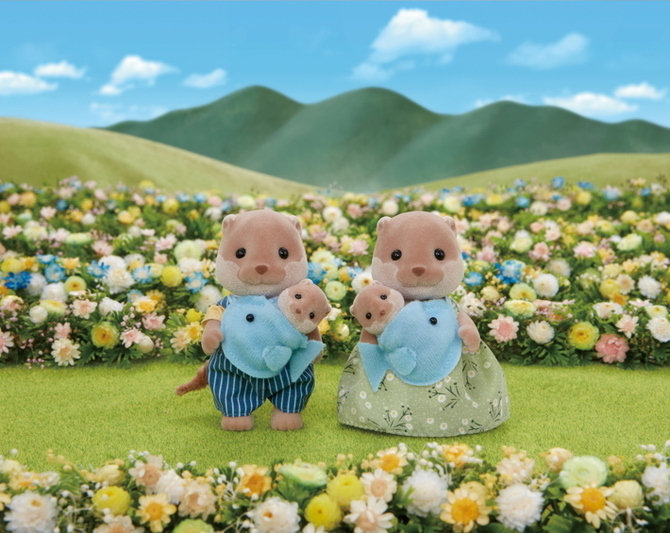 The Father and Mothers' heads, hands, and feet can be moved, allowing them to take on a number of different poses. 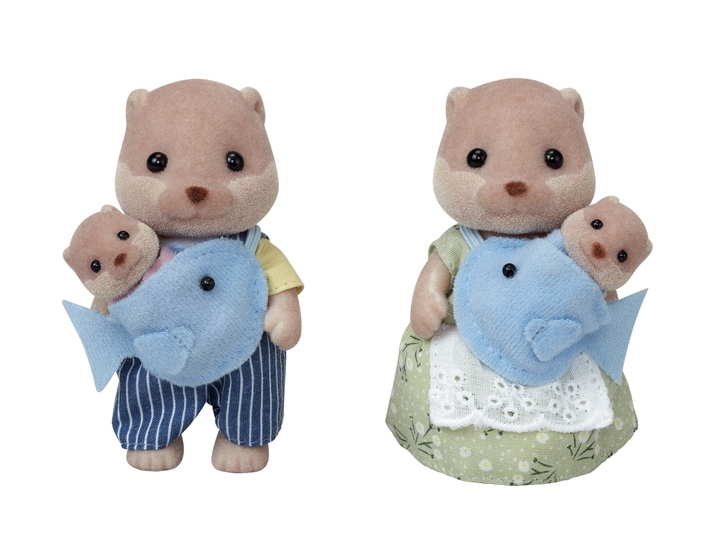 Includes a baby slings especially for the Splashy Otter cradled babies. Splashy Otter Father likes going out with the family. Splashy Otter Mother is always smiling, and is always giving out praise. A word of praise from Mother leaves everyone feeling great. Splashy Otter Cradled Baby Girl loves looking at fish. 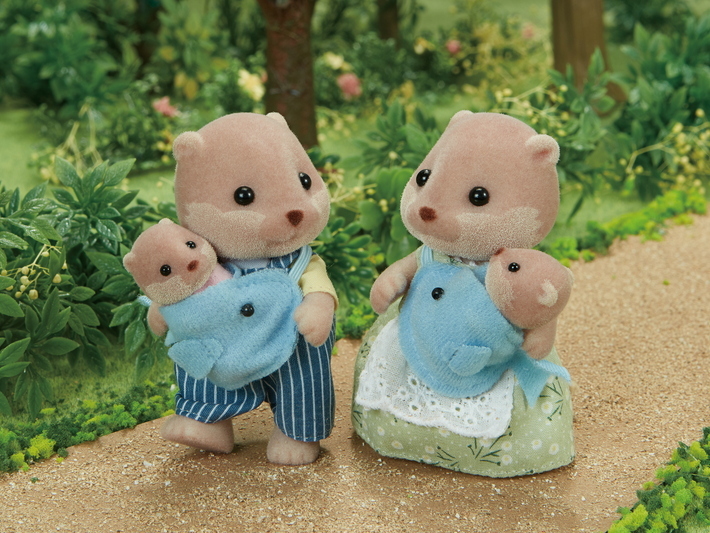 The Splashy Otter Baby Slings was made by her Mother with that in mind. Splashy Otter Cradled Baby Boy, who one might say is a little bit spoiled, is always found with his Mother.